It’ll be in the Oh Yeah Music Centre Belfast! 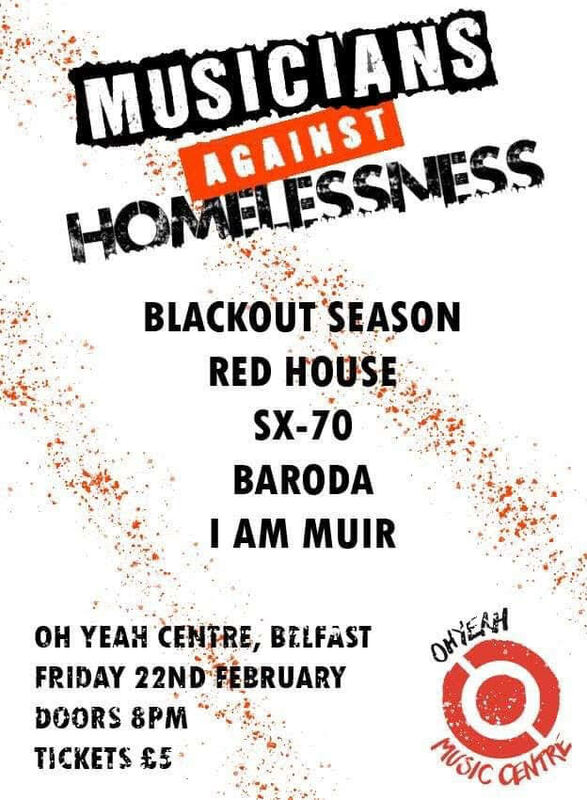 Tickets are priced at £5 and we’ll be joined by our friends I AM MUIR, Baroda Music, SX-70, and Red House. It’s a night of great music for a great cause!